From the Drive - U.S. Embassy Nigeria Blog: Diversifying; Seriously? Why is Nigeria’s principal export product oil? Consider the country’s vast human and material resources and you wonder why. This is an issue am sure that has troubled many governments in the country and has led to the increased drive to diversify the economy and make it less dependent on oil. An example here could be the cassava production drive. Although I guess a lot of Nigerians are still not too taken with the idea of cassava bread. However with the security issues facing the country and youth unemployment the benefits of a diversified economy become more obvious. This is because the oil industry can employ only so many people whereas agriculture for example can provide jobs for tens of millions. It therefore amazes me that the U.S. government’s initiative to provide access to the American market for sub-Saharan African countries has not been even marginally exploited by Nigeria. It’s the most liberal trade access to U.S. market available to any country or region in the world. 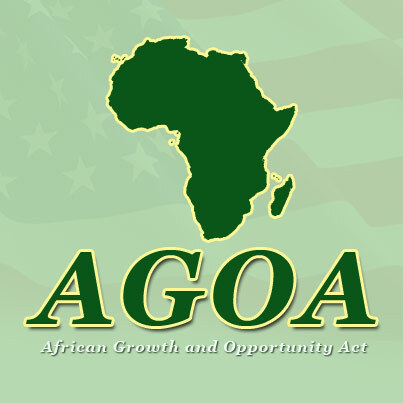 It provides duty-free treatment for 1,800 products in addition to the 4,600 products available to non-AGOA beneficiary countries. It provides an additional preference in form of duty free access for apparel made with fabric originating anywhere in the world. Thus fabric brought into Nigeria from China can be made into clothes and exported to the U.S.
Best of all the U.S. asks for nothing in return. They don’t require that the countries also open up their own borders to products from the U.S. Questions at the end of the briefing about how small businesses can access the program, how people can even get basic information revealed just how much work needs to be done. And this work should not be done by the U.S. Government. They’ve generously supplied the platform, its left for the Nigerian government to do its own part so that its people can benefit from this opportunity. Now, what do you think can be done to ensure that Nigerians tap into the benefits of AGOA?